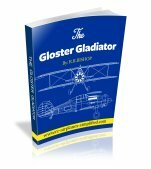 RC Model Airplane Engines: The 2 Stroke Glow Engine. 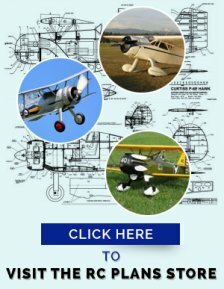 Of all the RC Model Airplane Engines available, the 2 stroke glow engine is the most popular.Hints and tips on the models available. The 2-stroke Glow Engine is the simplest of all the types of RC airplane engines. The term 2-stroke means that the engine fires on every stroke of the piston. There are no moving valves. The induction of the fuel/air mixture and exhaust are accomplished by ports in the cylinder walls. This feature makes the 2-stroke simpler and lighter than a similar capacity 4-stroke engine. As it fires on every stroke, it is also more powerful than the same size 4-stroke engine. To sum up- the 2 stroke is lighter, simpler, more powerful and requires less maintenance than a similar sized 4-stroke.This makes it the ideal engine for the beginner. The disadvantages of the 2-stroke are it is more difficult to muffle efficiently and it does tend to use more fuel. As always please follow the manufacturer's instructions. Use only the recommended fuel (well filtered) and propeller size. Do not run the engine too lean, especially when the engine is new. Please follow the manufacturer's "break in procedure" . Note that the engine shown in the above photo needs no break in routine and is built especially for the beginner. At the end of each flying session, make sure to empty the tank and run the engine "dry" of fuel. A small drop of after-run-oil inserted into the carburetor will ensure the inside surfaces and bearings are well protected from the negative effects of some fuels. Of all of today's rc model airplane engines, the 2-stroke has to be the simplest to maintain. The range of sizes of 2-stroke glow engines generally available is from 0.10 cu.in. (1.76 cc) to 2.13 cu.in. (35cc). The vast majority are all single cylinder models. 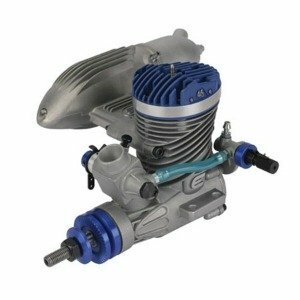 Because of it's popularity it is probably the most developed rc model airplane engine available. Main bearings can be either plain or ball bearing. Plain bearings are generally used on the smaller size engines and the less friction developed by the ball bearing, means it can be found in the higher performance and larger displacement engines. Please make sure the fuel is clean by installing a filter in your fuelling system and also in your on-board set-up. Turn the radio system "on". Choke the engine, usually by placing a finger over the carburetor air intake and rotating the propeller a few times. Be careful not to overdo it and flood the engine! Next attach the glow plug igniter. Now the engine should be ready to run. Make sure the model is safely constrained by a device or a helper and ensure the throttle is set to "low" on the transmitter. Apply the electric starter. I believe this is safer than "flipping" the propeller by hand. The engine should now start and run at low speed. Now move behind the propeller and remove the glow plug igniter. NEVER try to reach over the rotating propeller to make adjustments! Ensure the model is still safely constrained and slowly advance the throttle to high. Do not try and squeeze the last few revs out of the engine! A test to see if the needle is set too lean is to raise the nose of the aircraft to a vertical position and then advance the throttle to high. If the engine continues to run at the same speed as when it as horizontal, then it is not too lean. Please be very careful when performing this test! A spinning propeller is an obvious danger to yourself and others. Make sure the engine is reliable at all throttle settings before you fly. Make all the adjustments to high speed and low speed needle valves required to achieve complete reliability. Adjust the low throttle setting to give a reliable low RPM for landing, without the engine stopping. 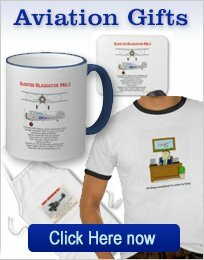 Some of the links on this page are “affiliate links.” This means if you click on the link and purchase the item, I will receive a small affiliate commission. There is no extra cost to you. Because my integrity and your satisfaction are very important to me, I only recommend products or services I use personally or would purchase, and believe will benefit my readers. This income is used to help pay for this site. I am disclosing this in accordance with the Federal Trade Commission’s 16 CFR, Part 255: “Guides Concerning the Use of Endorsements and Testimonials in Advertising" For further information, please click here.